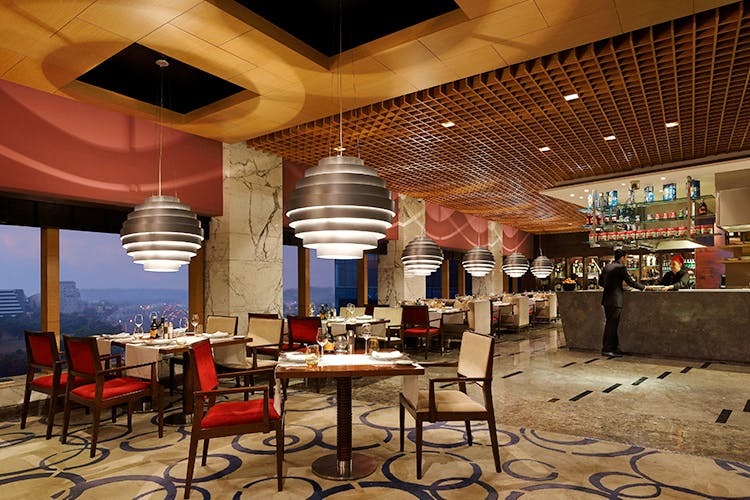 Zanotta at The Leela Ambience Gurugram has been attracting food lovers and connoisseurs with their Italian delicacies and the finest of Italian wines. When we got to know Zanotta is launching their new menu, we just had to be there for the food (and of course the wine). As the sun goes down and Gurugram lights come alive, enjoy your glass of wine with a gorgeous view of pearls and rubies- a pretty way of noticing the traffic as a bokeh of lights (the only time you will appreciate the traffic in Gurgaon tbh). The overall vibe of the restaurant is super chill and luxurious and the see-through wine cellar is something your jaw would drop for. Chef Leidy makes mouth watering Italian delicacies that’ll help you transport to Italy while you are in Gurugram. Their Porcini Pappardelle con ragu di maiale is a delicious creamy mushroom pasta with pork sauce and the Branzino croccante con verdure temperate is crisp sea bass with a side of vegetables. Do try the Merluzzo con ragù piccante di ceci or cod with spicy chickpea sauce if you love spicy food. Sink your forks into the tender Duck Ravioli or find the creamy goody good Pumpkin Pansotti become your new second favourite italian triangle(Pizza is always bae #1). Pair these with a side dish of fresh Spring Panzanella and you are good to go. Pasta-La-Vista because we are off to daydream about these heavenly dishes. How about you yourself head to Zanotta to have a stellar evening with your bae and, find yourself lost in the myriad flavours of some authentic cibo italiano? Stay updated about them on their Facebook, Instagram & Twitter handles!